SCAMBIO INTERCULTURALE "SAFE RIDE FOR A HAPPY LIFE"
​Dal 20 al 29 marzo 2018 si e’ svolto lo scambio interculturale “Safe ride for a happy life”, organizzato da VulcanicaMente in collaborazione com Ciclofficina Popolare Knos, finanziato dal programma Erasmus+. Lo scambio si e’ tenuto presso i Missionari Comboniani a Cavallino (Lecce), e ha visto la partecipazione di 30 giovani da 6 paesi europei, provenienti da Paesi Bassi, Estonia, Ungheria, Spagna, Grecia e Italia. ​I trenta partecipanti, aventi un'etá compresa fra i 18 e i 25 anni, sono stati i protagonisti di quest'iniziativa internazionale, avendo la possibilitá di apprendere attraverso metodi di educazione non formale, quali workshops, team building e roleplay. Con questo metodo, i ragazzi sono stati coinvolti in un processo orizzontale di apprendimento, dove l'inglese é stata la lingua veicolare nella comunicazione fra i partecipanti. L’obiettivo di quest’iniziativa e’ stato promuovere la sicurezza stradale attraverso la creazione di varie campagne informative mirate a sensibilizzare le persone su quest’argomento, fra cui il non bere alla guida e favorire un maggiore utilizzo della bicicletta. ​Questo scopo é stato raggiunto attraverso una serie di attivitá strutturate nell'arco di una settimana dove i group leader hanno svolto un ruolo guida verso i partecipanti, cominciando con i primi due giorni, che sono stati fondamentali per permettere ai ragazzi di conoscersi fra di loro, creando un'intesa di gruppo, e anche per presentare il programma. Successivamente, entrando nel dettaglio, l'argomento della sicurezza stradale é stato trattato in maniera interattiva, attraverso workshop e roleplay, dove i partecipanti hanno avuto l'opportunitá di apprendere attraverso il loro contributo, fornendo idee ed esperienze personali inerenti a questa tematica. E dopo attivitá di brainstorming sulle problematiche inerenti alla sicurezza stradale e sugli elementi che una campagna pubblicitaria dovrebbe contenere, i ragazzi si sono trasformati in aspiranti registi, sceneggiatori e attori diventando i protagonisti principali di questa propaganda di sensibilizzazione. E quale miglior occasione del combinare quest'esperienza con uno dei pilastri dell'educazione non-formale? 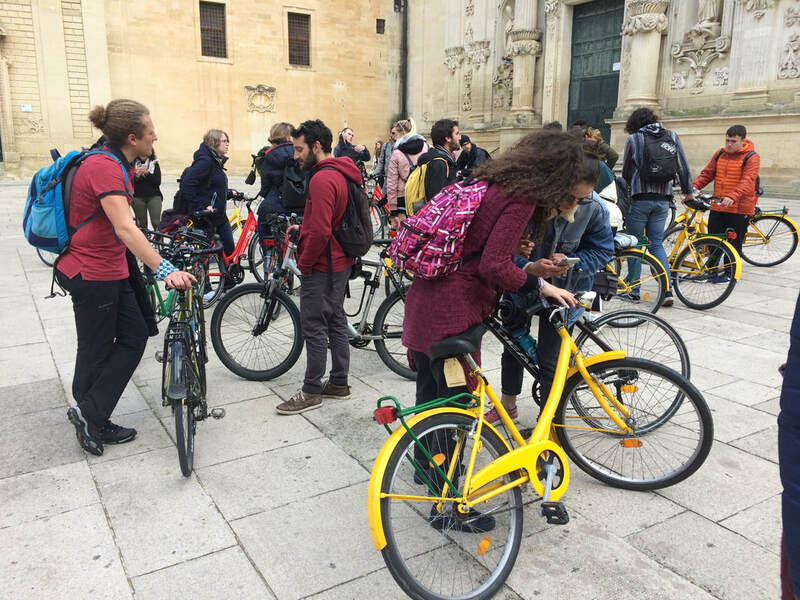 Attraverso learning by doing i partecipanti hanno avuto la possibilitá di sperimentare in prima persona l'utilizzo della bicicletta nel territorio salentino per due giorni, attraverso un escursione nelle campagne locali e nella cittá di Lecce. Nel capoluogo salentino, i ragazzi sono stati i protagonisti principali e interattivi di questa campagna, con la supervisione della Ciclofficina Popolare Knos, dove hanno imparato come risolvere piccoli inconvenienti con la bicicletta, per poi trasformarsi in giovani reporter, alla ricerca dei problemi della cittá inerenti alla sicurezza stradale e alla mobilitá sostenibile, offrendo anche suggerimenti e idee in base alle loro conoscenze. Dopo quest’attività itinerante, le campagne pubblicitarie realizzate con tanto impegno e volontà dai ragazzi, sono state presentate per la prima volta in assoluto alle Manifatture Knos. L’impatto di questi piccoli video è stato enorme, dove tutti i partecipanti hanno collaborato in egual modo, rendendosi promotori e sensibilizzatori di queste tematiche molto importanti nella società odierna dove viviamo. Queste campagne promozionali sono state successivamente condivise sui social media con l’obiettivo di raggiungere più persone possibili in modo da ampliare la consapevolezza delle regole stradali e della mobilità ecosostenibile, dimostrando di come certi obiettivi possano essere raggiunti a livello europeo da ragazzi che non condividono la stessa lingua, ma gli stessi principi di uguaglianza e solidarietà. I video sono visibili qui. Tutti le foto sono visibili su Facebook, clicca qui. 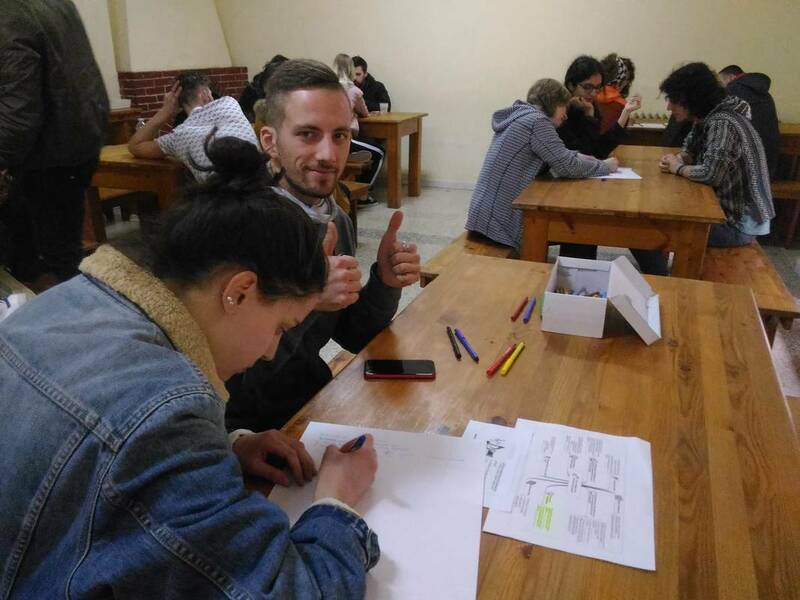 It was my first Erasmus+ project and after going I was really happy that I made time for it. I saw the country where I had never been before. It was awesome to ride there with bicycle and to feel firsthand how traffic for bikers is in Italy. Also traveling with bicycle made possible to see more and what I liked was that we did not only ride in cities but also on gravel roads in countryside. I met some really awesome new people and had a lot of fun in there. I definitely have great contacts now if I should ever get on one of the countries that participated in this project. I think I appreciate Estonian traffic and also roads a lot more after this project. When heard about traffic situation, road quality in other participating countries and saw situation in Italy. It is easy to say that Estonia has rather good traffic culture and manners compared to some of the other places. I have been rather active person for years, even ran home from work few times, but somehow never really thought about using bicycle for transport instead of bus or car. I think I kind of caught a bicycle “bug” from this project. Week or so after the project I bought myself a bike and now almost month after buying it I have not used public transport not even once and have drove with car maybe 4-5 times usually to transport some bigger things. I ride 7-8 km every day to work and same distance back. Recently even went on 100 km bicycle trip around Tallinn with my friend which was rather crazy idea, but massively fun. First of all, I met so many wonderful people during the project. I really loved it to share my Dutch stories with them and have ‘AA meetings’ where I could also share my problems. Everyone was so kind and funny. I learned a lot about their cultures and how they live their lives. I started to respect my own country more and more. But I also started to respect every other country more, because of the beautiful people and all their habits. The project changed me, because I became more open-minded and I started to enjoy people and little details more. It was really good to speak English whole day, because I had the opportunity to upgrade my English and I learned that it’s okay to make mistakes. I made friends for life and I won’t forget the project. Thanks again for the beautiful project! This was my first Erasmus + project. I loved every day. In my opinion, this project is also suitable for learning languages ​​and for getting new friends. Since then I have always kept the traffic rules. I feel that I got a lot from Safe ride for happy life. Thanks for everything! How this project changed me? I've learned a lot of different things about the traffic situations in different countries, how to prepare for different situations on the road and we also tried how the traffic works in south Italy by bicycle. The program was really organized and that was not like a struggle to take a part of the program, everybody did the best what they can because of the structure of the program. Everybody taught each other and everybody has been taught. It was serious and also funny. The school system should work in this way as well. For me the best part in this project was not the learning these useful information, it was about to take part in an international project and meet people from different culture. The mood was really familiar, we shared everything we had with each other and all of us became friends to the end of the project. We also started a conversation to meet with each other again and we all had great friends all around of Europe. I really miss these days and these people. That’s why to take part in this project absolutely worth it. I wish you the best, keep organizing projects like this because it makes a different perspective to the youth. It was my first project like this so I really didn't have any big expectations for this. I only had a fear that what if I can't make any friends or get along with someone or just not have a good time. I was doubting about participating a lot. But as it turned out, it was one of the best experiences ever. I met so many new people that i would've never met without this project. It gave me friends all over Europe. I also learned a lot more about road safety, got to refresh my memory about first aid, learn about other countries traffic, but the best part is that I learned all of this through fun games and teamwork. The project also gave me more confidence, more independence and taught me to communicate more with people around me. I will always treasure this project, because it opened so many more doors to me and makes me want to participate in more projects like this. We all had a lot of fun and made so many inside jokes and got together as a family in such a short amount of time and i think that's the best part of this. 10 days participating in "safe ride for a happy life " was the greatest accident that happened in my life. I decided to apply for Erasmus+ not because I wanted to leave, but because everyone was enthusiastic about it and I thought about it as a way to prove to myself. And I fell madly in love with traveling. I started to be more connected to nature. I don’t know how I survived earlier without being emerged in the magic of nature. If I would have never been in Erasmus+ my life would be completely different and, I’m pretty sure, it would be very boring. Where to begin? 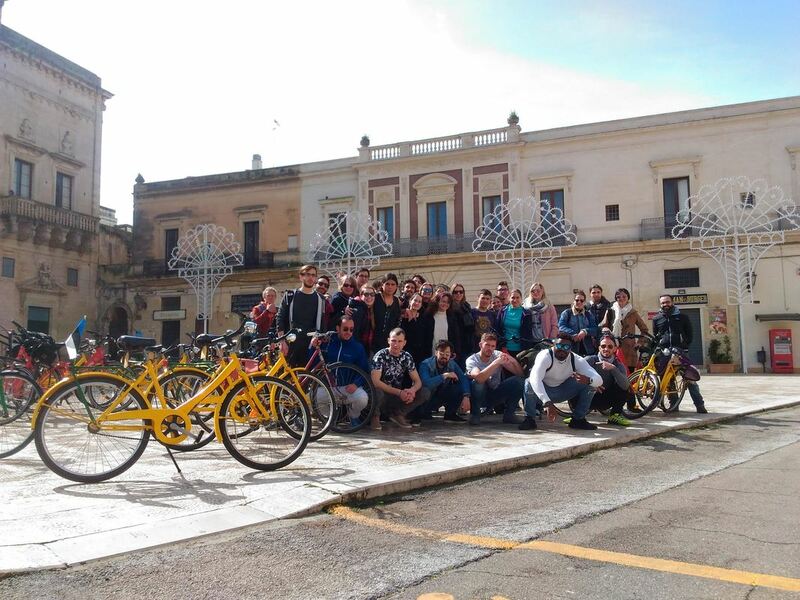 From the amazing trip by bicycle from Greece to Lecce, to the greatest moments of the program and finally to the educative experience of safe ride (for a happy life). The aim of European Union, through those programms, is to connect young people from different countries and cultures. In our occasion, it could not be succeeded more. All participants have come very close, sharing moments, feelings, life's experiences, food and alcohol and of course love. The camp of Comboniani was our paradise, away from our lives and other thoughts. Personally, i felt like it was a break from my life, so i had the chance to focus on the subject, on the team spirit and to nature. I can't say how much i liked the program. It was the peaceful nature around us, the warm hug from the stuff and the administrators, the love and care from evert single participant and of course the lessons we took from the subject which inspire me enough to come to my home city and try hard to propose different ways of transportation in the city. Grazie per tutti!! Perhaps my life doesn’t change a lot after the project but yes, my perception about mobility. We are europeans and we have, mostly, the same problems. Some of them, the pollution, cars accidents and cities done for cars. Live 10 days with others european youngs give you the knowledge of how is these topics on their countries. You can learn some good practices that they do or something to avoid. If you decide to participate on similar project you will do a lot of new friends, and your perception of europa will change. The project Safe ride for a happy life helped me realise the conditions of different countries' traffic and road safety and classify my own country's situation. It also helped me find solutions for my country's problems and encouraged me to use the bike as a main means of transport. But most importantly, meeting all these people from the project changed my viewpoint; I became more open-minded and wise as I learned many things from the participants and we shared wonderful moments. Many of them I can call them 'friends'. The project left me with a very warm and thankful feeling. It started 3 years ago when I met Sara, representative of Vulcanicamente in a volunteer management seminar in the UK. I didn’t know that time that I would be learning about how to use public transportation and bikes safely years later near to her hometown as a group leader. Nevertheless, 2 projects later and with the help of two amazing exvolunteers we were there. It was truly inspiring to watch young people how they built up a programme based on their own experiences and ideas, from scratch. For the Hungarian team it was a challenge language-wise, but thanks to the amazing hospitality and the well-structured programme they overcame the difficulties and participated fully. 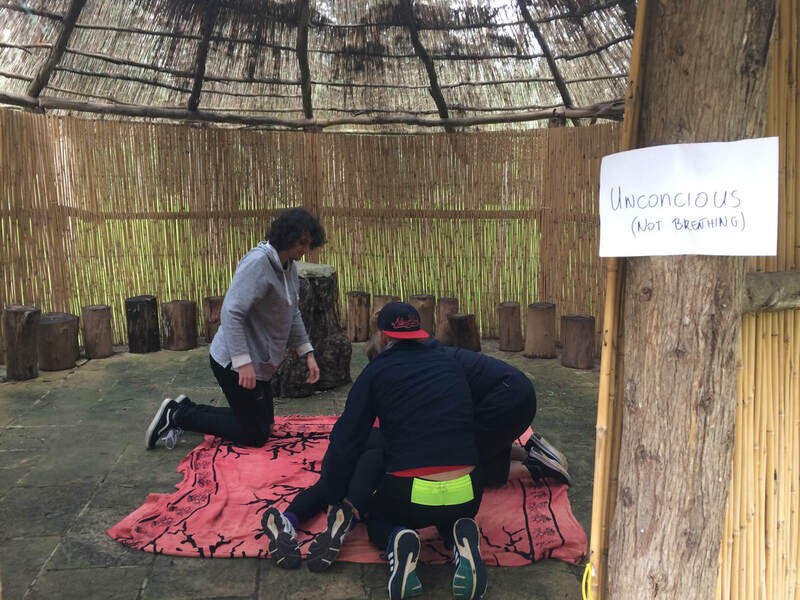 We learnt about different cultures and how they use different means of transportation in 6 countries, discovered the area of the venue, and practiced riding the bike despite of the harsh weather conditions. Finally, we created amazing campaign materials we can all be proud of. The story might not end here. 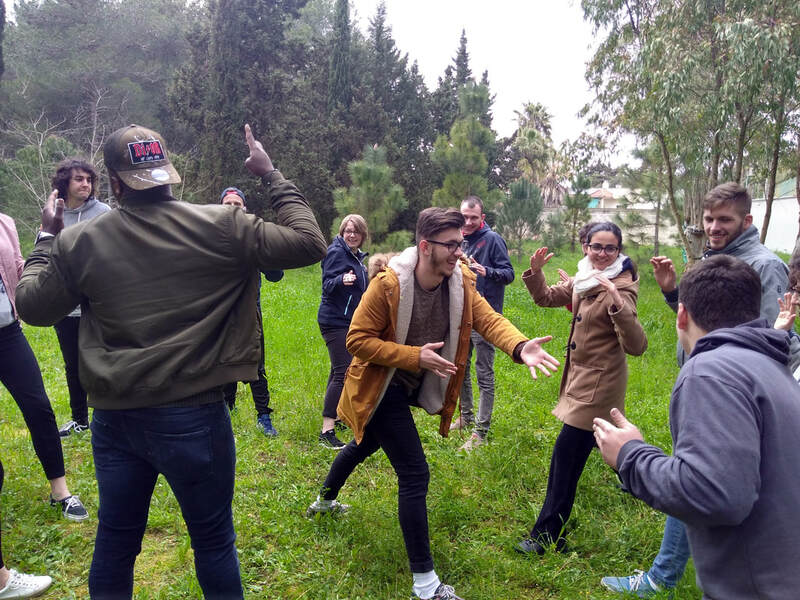 As new connections were made and many young people learnt about other types of opportunities offered by the European Union they became interested in discovering more, travelling further and participating in new projects. We are extremely happy that as a result of the Safe ride project we are going to host two of the participants in Hungary in short term projects this summer, and another person as our next long-term EVS volunteer! May this story go on much longer. This Erasmus+ experience was for me a great opportunity to know better cultures of young people of different countries. I learnt better English and rules about safety in road. Now i use to go by bike more than in the past and I'm so happy to advice others to use this kind of transport. I loved this unforgettable experience! I learnt a lot of things, first of all how to save a life (a a a a a save a life! ); we created a beautiful work group. Actually, I use more often the bike to take a walk in my city or to go to school and it is a fantastic sensation! Ps: it helps me also to keep fit, so great project! This youth exchange was my second Erasmus+ project. When I first arrived to accommodation I was bit scared like last time. Fear of not making good connections and not finding any friends was vanished after first Night. Still not 100% sure if it was because of Vana Tallinn or just because everybody looked so friendly and open minded. Anyways those 10 days in Italy with such an awesome group of people was crazy. I felt like part of big family and I still do. Participating in project changed my life a lot. At first, I got lot of new knowledge about other countries situation and it have already helped me to survive while i was visiting Greece few weeks ago. But the knowledge wasn´t only about traffic situation but also about culture, political situation etc. Whatsmore, after the project I changed my ways how I move. Nowadays I prefer riding a bike, walking or using Public transportation to driving a car. And I´m also trying to push my friends to buy bikes so we could do more trips together. Overall, I have to say that this project had huge impact to my life. I got good friends, lot of new knowledge and it gave me strength to continue with greener lifestyle. “Change thyself: experiencing a stable, long- term alteration to one’s character and to the way of perceiving one’s surroundings”. Taking this definition into consideration, I am sorry to admit that I cannot be entirely sure and give a positive answer about how this youth exchange Program changed me, simply because of the short (2-month to be exact) period of time that has passed since its beginning. During our lives, we come to contact with numerous experiences. Some follow us and become a lifestyle and some wear off, while new elements grab our attention. 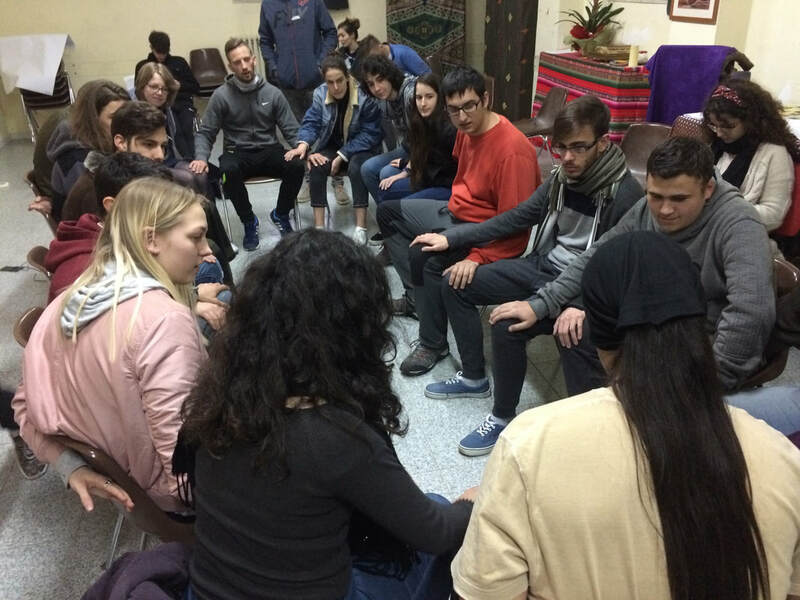 Nevertheless, during this short period of time after I left San Cesario di Lecce, I undoubtedly experienced some changes in my perception of myself and my environment, mainly as a consequence of the activities taken place during the Program. For instance, before Erasmus+, the only learning experiences I had had included a notebook, a pen and my undivided attention to a lecturer. Experiential learning methods taught me to be my own teacher and pardoned me when I zoned out, laughed, or talked to the person next to me. Before Erasmus+, I never imagined that I could live almost exclusively on Vegan food for ten days or that I could bike for 10km straight under the pouring rain or on a highway, while trucks cross next to me. These tasks, along with the challenging for me temperatures proved that my spoiled body and health are not as fragile as I originally thought. More eye-opening than those though has been the 180-degree turn in my perception around education. To make myself clear: For my community, an educated person is a person who has studied at a University. The more prestigious the faculty, the more educated that person is. Having lived this and only this, on the first day of the Program I was amazed with the variety of educational and working backgrounds the participants acquired. Carpenter, fire showman, professional dancer, entrepreneur, artist, event organizer, bar tender. Needless to say, this put me into thoughts about the old-fashioned and “certificate- hunting” labor market perception of my society. I do not wish to be tiring, but at this point, I guess the reader has progressed enough for me to confess that not a single thing of the above is what makes me recall of these ten days and still smile, while I am drenching myself in my books. That will be the 35 people who contributed. I feel as if somebody took each one of us and joined us like puzzle pieces. It is extreme rare to enclose this number of people in a small space for such an elongated period of time and have zero friction between them. Rules being followed, area being kept clean, humor never missing, music taste matching, jokes not being offensive, people forming equally strong connections with everyone- that is rather unlikely, but was achieved. Each one brought their best disposition, something obvious without much observation. The proof to this is the “River of love” on the last day: it led me to the astonishing realization that some people while in farewell are worth crying for, as well as that there are indeed some people on Earth that will be too sad to cry when they also see me leave. In a nutshell, I believe these all justify my 2-week depression after I returned home, the reunion seven of us had in Athens only one month after the program and 3 weeks before my exams, my determination in staying in touch through daily contact with the person I came the closest with, and the fact that two fellow members will visit me in the upcoming summer. Time will only show if these intense experiences were indeed life changing. So far, they are awesome. Erasmus+ project Safe Ride for Happy Life changed my life a lot. First, I find out again that I really like to drive with bicycle and I actually had already bike in Estonia, but I haven´t use it for 4 years. When I went to home, I repair it and now I´m using bicycle almost every day. It is very healthy and also helps to save money, because I don´t use anymore so much car. Second it was good experience to be in South-Italy, I have been many times in North, but it was very different. Third, I found many new friends and had very fun 10 days there and it also made me more confident to speak in English. This was not just my first project, but also the first time I went flying. The 10 days were a great challenge and experience. The group was sociable and active. I have learned a lot about other countries and their driving style, and I am glad that I live in the Netherlands what a bicycle country is. I was shocked by some stories, how things are going in their country. As I said before, the group was fun and we did some nice activities, especially cycling. The project has shown me that, despite living in Europe, there is still a lot of difference between countries when it comes to driving safety. I’m not sure how “Safe ride for a happy life” actually changed me, it was an exchange that lasted for just 10 days, even though they seemed many more. But what I’m sure of is that I had an amazing time during that period, regardless of the themes and topics of the exchange itself. It’s been one month and I don’t remember exactly the things we did or the things we learned, I do remember though that I had fun during the activities we did or just being by ourselves. The thing that I’ll probably keep with me from this exchange is probably the valuable friendships I made there. I believe that youth exchanges are very positive experiences for many reasons, and everyone can get something out of it. When I was first learned about the youth exchange program “Safe ride for a happy life” I got excited because I daily commute by bicycle and for me these issues are of major importance. In the beginning, I was thought that every participant understood this kind of problem, but the majority of them didn’t realize them. However, after days passing everybody started to realize that being a cyclist in a city which is made only for car is not the easiest task. The program was very well organized and we have done many things concerning sustainable commuting with non-formal methods. Moreover, we have use bicycles a lot in order to commute to the city and also, we have learned a lot of thing concerning them which was the most direct way to feel the problem. For me it was very satisfied to see young people working together with me to solve or trying to inform community about these issues. Another thing that I want to notice is that all the menu was vegan, despite the fact that I am not vegan I liked the majority of the dishes and after that I have changed a little bit my daily diet. 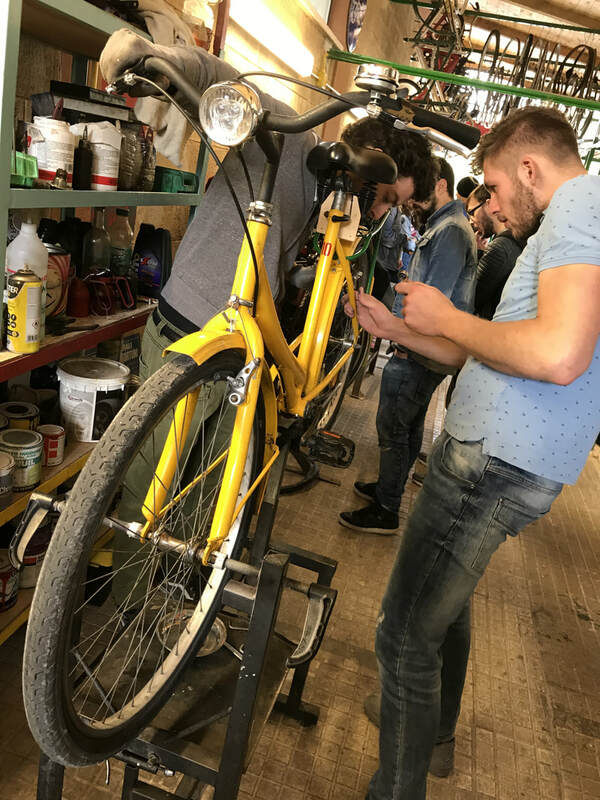 I think after this program the most of the participant will use their bicycles again and the will try to spread what they have learn in general, for me this is the success.